Carmel Beach is a truly exceptional private beach vacation community of 23 luxurious detached lodges on BC’s magnificent Shuswap Lake. Suited to your preference, our lodges come in a variety of different styles each with their own unique features. They are each fully furnished with bathrooms, a living room, kitchen and dining area. Enjoy the five star resort services and amenities including onsite concierge, as well as a private beach, club house, and dock. You will instantly be taken away by the breathtaking views of the lake, just minutes away from your lodge. Shuswap Lake is the most desirable recreational spot in western Canada. It is the perfect private beach vacation getaway for any season. In the summer, enjoy golf, fishing and boating. During the winter season, take advantage of the skiing, snowboarding and snowmobiling opportunities held by nearby ski resorts. If you wish to discover surrounding areas of the Carmel Beach lodges, there are several small towns with restaurants, cafes, boutiques and grocery stores. Shuswap Lake is very accessible from Western Canada’s most populous cities, including Calgary, Edmonton and Vancouver. Ownership starts at only $209,900! Get real value from your own piece of paradise. Carmel is a Mediterranean-cool throughout the year, with an average temperature of 57 degrees. Sublime touristic season lasts from July until early September, when the weather can be cloudy during July to Indian-summer when it is it’s warm with blue sky until fall. Temperature sometimes reaches 66 degrees in July, when musicians from all over the world have come to the annual music festival Carmel Mission Basilica held on Pebble Beach. In August, the entire Peninsula Monterey goes to the Motor Show called Monterey’s Classic Car Week, which is also held on Pebble Beach. The warmest month is September with an average temperature of 70 degrees. Locals celebrate Carmel Mission Fiesta in the fourth week of the month, and the Jazz Festival which brings hundreds of artists from around the world. Indian summer stretches in October in Carmel, and travelers take advantage of the ultimate season, i.e. lower prices and less attendance, not to mention the prices of the best local restaurants on the annual celebration called Taste of Carmel. Most of the tourists in the pre-season are coming in April and mostly clouded in June. The most famous events in this season Pebble Beach Food & Wine and the large Sur International Marathon, probably the best destination for running the country. The best things in Carmel, travel at the end of the season from November until March, when places are not overcrowded, hotels have deals and the weather is pretty cool and is moving at an average of 43 degrees in December. When you are planning your trip, keep in mind that the population form the neighbor city also likes the events on Pebble Beach and Big Sur can bring a large number of audiences and shade to be elevated as in the middle of the season over the peninsula, and even Carmel. Peak Season – Probably the most reliable part of the season when most of the tourists come in Carmel is the summer, due to the annual vacation and school vacation. Anyway, the coastal fog during this period of time can be very drippy and it will probably hover over the coastline all the day. Upfront planning to visit this place during this time will help you with hotel bookings, especially if you have something favorite of mind, because they are filling up pretty fast. Off Season – While this area of ​​California is in a constant mild year-round, the winter months are cooler and has a temporary rainfall. In the friendly outdoor environment in Carmel, this is not the best time for leisurely walks because of the rain. 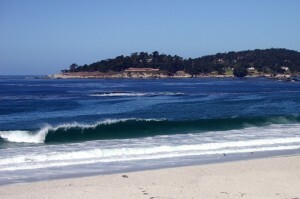 Shoulder Season – Warmest time of the year in Carmel is early autumn and spring is usually sunny and fogy before summer. Twice a year is warm, clear days and cool nights, and it is the best time to visit. Two nights weekend can relax you during this period, and it’s more likely to find a deal in hotels than during the peak season.